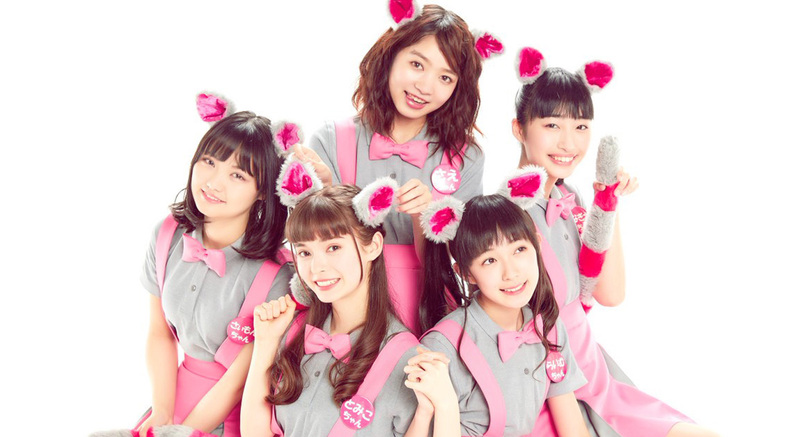 Every year, Japan Expo in Paris gathers a very diverse panel of idol guests. While the convention has now a very Hello!Project oriented reputation, Japan Expo also welcomes lesser known and very promising groups and artists that you definitely do not want to miss. In this week’s write-up, we will introduce the fresh faces of Wi-Fi-5! Launched in 2013 by magazine publisher Kodansha, the national miss iD contest reveals every year its set of new talents and idols. Amongst its most well-known alumni are idols like Kuromiya Rei and Kaneko Rie from unit LADYBABY, model Tamashiro Tina, American talent Amina Du Jean or beauty Youtuber and ex-HKT48 Sugamoto Yuko. Wi-Fi-5 is made of five young finalists of the 2016-2017 edition of the miss iD contest. Takano Nagisa (16), Sae (21), Shiratori Raimu (13), Chinese-born Simonn and San Francisco native Tomiko Claire (17) recently started their activities as Wi-Fi-5 in October 2017. Their debut were particularly impressive as their very first song and MV turned out to already be the opening song for anime Elegant Yokai Apartment Life (妖怪アパートの幽雅な日常). 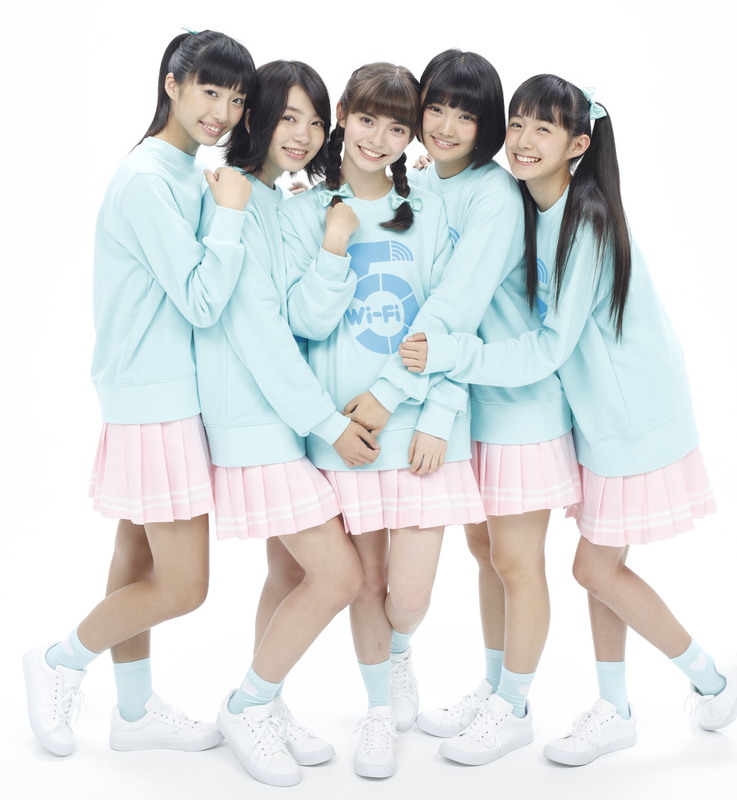 Sweet and upbeat pop song Hajimari no Courage was released in November 2017, and their MV, while sporting a sharp and colorful image, also gives off a very nostalgic and somewhat vintage vibe from 80’s Japanese idols. 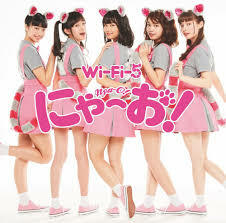 Wi-Fi-5 did not seem to get off the anime tie-up wagon as their second single was announced to be the ending theme of TV Tokyo anime Chii’s Sweet Home (こねこのチー ポンポンらー大旅行). Before being adapted to TV, this anime first was a world-widely popular children’s manga series, telling cute stories about the daily life of kitten Chii. The song, Nyao!, fits perfectly such vibe. Release on June 6th 2018, it is a sweet children’s anthem, easy to sing and dance along. The MV shows the members dancing with kids in the playground of a kindergarten, alongside Chii! Their appearance at Japan Expo 2018 is set to be part of a promotional event for this new anime, and young children will very much love it. Wi-Fi-5 might be a very young idol group, and not much content is available yet, but do not forget their cute faces! After two anime tie-up singles, the miss iD contest opportunities seems to have set the group up for a brilliant future. Don’t miss them!